Space NK US is running Space NK Fall Beauty Edit Gift Event 2018. Space NK is offering IcanGWP readers a chance to win a Space NK Fall Beauty Edit Gift Bag worth over $560 through icangwp.com. If you haven’t own it yet. With any $285 purchase, you will receive a complementary 29 samples and a cosmetic bag from Space.NK.Apothecary simply use promo code FALL18, ends 9/17. UPDATE 9/17: The giveaway has ended, please find new post about Space NK USA here. Sponsor: Space NK USA (Space NK US) has provided the gift — thank you! Still looking for more gift with purchase offers or the next gift with purchase offers and sample bags from Clinique, Estee Lauder, Lancome and more? I provide all the information in my permanent page here, enjoy! Great giveaway! I like the palettes and gift sets from any of the more reasonably priced brands. The $$$$ one’s are fun to read about and look at and see reviewed. But the $$ brands are more my interest level. Hi Dp, thanks for sharing your favorite! The upcoming holiday gift sets will be so awesome! My favorite brand is Chantecaille, because it works, and it is a brand that supports environmental protection. That’s so thoughtful, Ruth! I really like their glycolic mask and the fact that they are one of a few beauty brands that supports environmental protection! Nature photographer! That’s so awesome Ruth. I took a photograph class once. One of the assignment is to take butterfly photos with film camera. It needs a LOT of time and patience. I’m sure what Chantecaille doing is helping out several projects! Thanks Ruth! Thanks for sharing the info on their environmental awareness. As someone who first joined any Earth Club in middle school (1992) I really appreciate company’s that are responsible regarding our planet. My order arrived yesterday and I can’t wait to try their Exfoliating Cream. Yeah! I’m so happy with you! Sunday Riley. I ordered their last one! Thanks for doing this give away! Wonderful! I love her brand so much as well. The 15% Vitamin C serum in the Space NK fall beauty edit gift bag rocks! The review is coming soon. You’re so welcome Vicki, thanks for stopping by! Thanks for the welcome! I first tried the Sunday Riley C.E.O. Serum From the Allure beauty box last year and I got another bottle as part of a problem of from Glossybox for re-starting my subscription. Unfortunately, for some reason my insanely acne-prone skin isn’t fond of it, but their acne-care line is great for me. I hope that Space NK gives you lots of referral bonuses because I hadn’t heard of them except through reading your blog (for the record, I used a different email address to place my order, send me an email if you need it). I have combination skin (acne prone a bit). Their acne line sort of too dry for me but I’m glad it works for you! Thanks a lot for thinking about me! I’m so happy you find my blog helpful for Space NK news! THANKS so much on your kind words! My favourite luxury product from Space NK is Sunday Riley’s Good Genes. I use it every night! Is that right? It’s great and I can’t leave without it as well. It’s quite strong for me, I haven’t tried to use it every night. Maybe I can try to use it more! What moisturizer do you pair with it? Thanks for stopping by and share your favorite with us Monti! I like the Veneffect lip treatment! Thanks for sharing Phung! I haven’t tried it and will sure find a chance to get my hand on it! I love all makeup and skincare! Thanks for the giveaway opportunity! Another luxurious contest, how exciting! There’s nothing better than a Diptqyue candle as we head into the holiday season. I prefer baies but am always looking for a new scent. Thanks for sharing Melvina. I’m totally agree! Nothing can complete Diptyque! I’m new to skincare, but I noticed I started aging after I had my first child and now I’m obsessed. I love Good Genes and Tidal Brightening Enzyme Water Cream by Sunday Riley. I’m also using the CEO Rapid Flash Brightening Serum, but the “wow factor” has seemed to wear off after initial improvements in my skin after the first few months. It was great in the beginning, but now it’s just maintaining the initial improvements. I also love Ren Ready Steady Glow AHA Tonic. After a night of drinking (I’m in my 30s and hadn’t had that many cocktails since college), I somehow used this tonic before I stumbled to bed and I woke up with skin that looked amazing despite the rest of me feeling like garbage. I also love the R+Co Waterfall Moisture and Shine Lotion (smells amazing and makes my hair soft but not heavy) and Coola Mineral Face SPF 30 Matte Tint Moisturizer. The tint even blends with medium-dark skin. It’s very matte and almost blurs a little bit. And it’s great for sunscreen eye sensitivity. My eyes get irritated with nearly everything else, but not this. Hi Maggie, what a fun thing to read! I like how you share why, how and long term results! Everyone loves Sunday Riley, isn’t it?! I’m using AHA toner occasionally and will check out the REN one as you recommend. Also, the R+Co and Coola. Thanks for sharing Maggie! I love SpaceNK’s Diptyque selection! I wear Eau Duelle frequently, their vanillas just can’t be beat. Thanks for sharing your favorite. I will need to try it. I love vanilla! So excited for this giveaway! 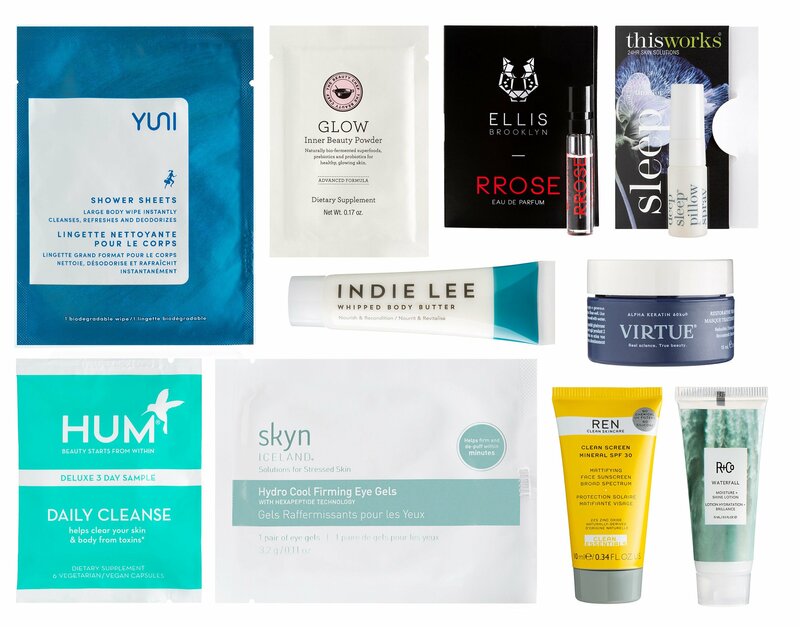 so many luxurious products to try and test out! You’re so welcome Alex! Thanks for stopping by! Thanks again for doing this giveaway. Fingers crossed that Space NK gives you 100 gift bags so we can all be winners. My actual GWP arrived damaged and they are out of the bag itself, so I have a stained interior of my bag, but it’s a gorgeous bag. Thanks for doing this! Good luck everyone!